Before you go spending your hard earned money on a qualification pay attention to this blog which will look at a few different ways of getting a qualification that will enable you to work with different types of clients. Let’s start by looking at the different industries we typically work in. Up until now there has really been two types of industry, the sports industry and the health & fitness industry. For a long time, it was only in the health & fitness industry that you could gain a recognised qualification, namely a personal trainer qualification. In sport, for a long time the only thing you could get was a British Amateur Weightlifting Association (BAWLA) qualification. But unless you have been living on the moon for the last 10 years though, you will probably have been aware of the United Kingdom Strength & Conditioning Association (UKSCA). Since its inception in 2004 it’s assessment process to become a ‘fully accredited’ member has received world wide praise, and has become known as the ‘Gold standard’ for those coaches looking to get into strength & conditioning. I guess you could say the UKSCA has taken on a similar role to Skills Active in regulating S&C. The accreditation is not a qualification, but a professional standard of practice, that employers and the industry use when employing and developing their staff. Over the past few months the UKSCA has been supporting Skills Active in the production of a set of National Occupational Standards (NOS) for Strength and Conditioning. The UKSCA have been heavily involved in producing these NOS as the Board feel that it isn’t in anyone’s interests, for a different set of professional standards to be developed in the UK for S&C for personal trainers. This should mean that the quality of coaching in personal trainers and strength & conditioning coaches should be similar. So if you decide to get a qualification from a Personal training provider you should be developing the same competencies as if you go through the UKSCA route. What about other S&C Qualifications? Another option is to do the Certificate in Coaching Strength & Conditioning for Sport Qualification (CCSCSQ). 1st4sport Qualifications is an organisation that is a member of the Register of Regulated Qualifications- known in England as Ofqual. It’s their job to maintain standards and confidence in qualifications. They look after GCSEs and A levels in England, and a wide range of vocational qualifications both in England and Northern Ireland. 1st4sport are famous for the range of sports qualifications they offer for sports like Football and Tennis with a pathway from Level 1 to Level 5. And now with the help from the RFU they have written an S&C qualification! Check out the two videos below for some examples of the CCSCSQ course that I recently held at Gosling Tennis Academy during this May/June 2014. Having got personal experience of all 3 I would say that it depends on what you want to spend your time doing. If you want to work in professional sport with professional athletes then almost certainly the UKSCA route will be the way to go. Unless the Head S&C coaches of pro clubs change direction and start to follow suit with the Head Coaches of the sport (who recommend 1st4sport qualifications from Level 1 to Level 5) I’d say UKSCA is the best bet. But remember you’re not getting a qualification; you’re showing you meet professional standards. To pass this you will need to do a theory exam, case study, and a practical demonstration of speed/plyometrics and Olympic weight lifting. This is aimed at more experienced coaches who are often graduates of a sports related degree. You don’t need a degree to do the accreditation but you would need to study the underpinning theory in the recommended textbooks so you have the knowledge to pass the exam. Before you do the accreditation, UKSCA recommend their 2-day foundation (Level 1) workshop. This is extremely practical and teaches you mainly about how to lift weights properly. 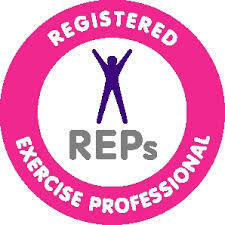 If you’re looking to run your own personal training business and spend more time in gyms then it is probably best you go with a Training Provider that is linked with Skills Active and firstly get a recognised Personal trainer and/or gym instructor qualification. To work in gyms you will need this qualification. This way you can start working and earning in a gym and then sign up to their speciality training course in S&C later down the line. My feeling is that you will see a growing number of personal training providers deliver S&C speciality courses. If you want a nice introduction to Strength & Conditioning with a blend of theory and practical then I would recommend the 1st4sport Level 2 course. It contains a bit more theory than the UKSCA Level 1 course and in my opinion bridges the gap nicely between the 2-day UKSCA Foundation workshop and the full accreditation assessment. Soviet Speed Secrets- how to make your athlete seriously fast without taking drugs! Before you do anything else check this out! How do you feel when you watch it?? Excited? To me- it’s Mind blowing! I see some seriously cutting edge training applications that made me realise how far ahead the Soviet training system was. And the East Germans weren’t too far behind. Even more impressive is that the coaches had a ton of research to back up their ideas! The Soviet Union (population in 1990, 290 million) first participated at the Olympic Games in 1952, and competed at the Games on 18 occasions since then. 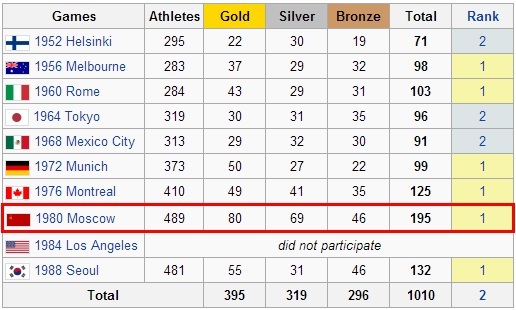 At seven of its nine appearances at the Summer Olympic Games, the team ranked first in the total number of medals won, it was second by this count on the other two. It’s main rival was the United States (population in 1990, 248 million). From my reading of the Soviet Sport System their results were no fluke. They looked at the sport and did experiments to find out the best exercises to prepare the body for that sport. I don’t think drugs were the reason they were successful like everybody would like you to believe. 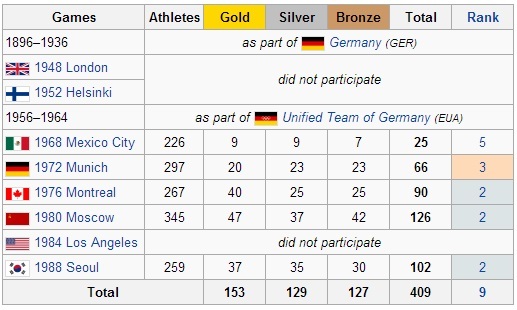 The East Germany team (population 16 million) were incredibly successful over 20 years too (1968-1988)! The Soviets and Germans took the same forensic approach to all sports they trained…..even Tennis, the other main sport APA are currently associated with! So today’s blog is about looking back at some research the Soviets and Germans did on Speed in Tennis- which is still valid today. It is a brave man who believes there is one speed exercise or method above all others that fits the bill for Tennis. Tennis has been described as a sport in which players must respond to a continuous series of emergencies. Sprinting to the ball, changing directions, reaching, stretching, lunging, stopping, and starting. 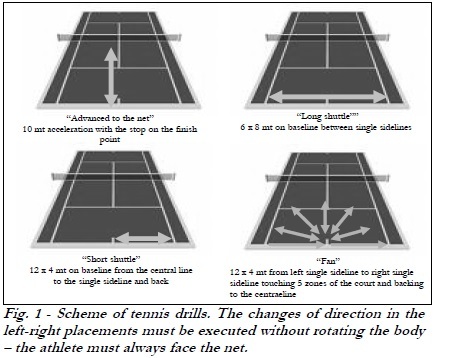 All these characteristics, combined with maintaining proper balance and technique throughout a match, are critical for optimal performance on the court. Therefore, players must address flexibility, strength and endurance, power, agility and speed, body composition, and aerobic and anaerobic fitness to improve their tennis games. For me it would be difficult to say which are the most important factors in the sport of Tennis, so I won’t! Instead I thought I’d let a well respected German researcher stick his neck out instead. 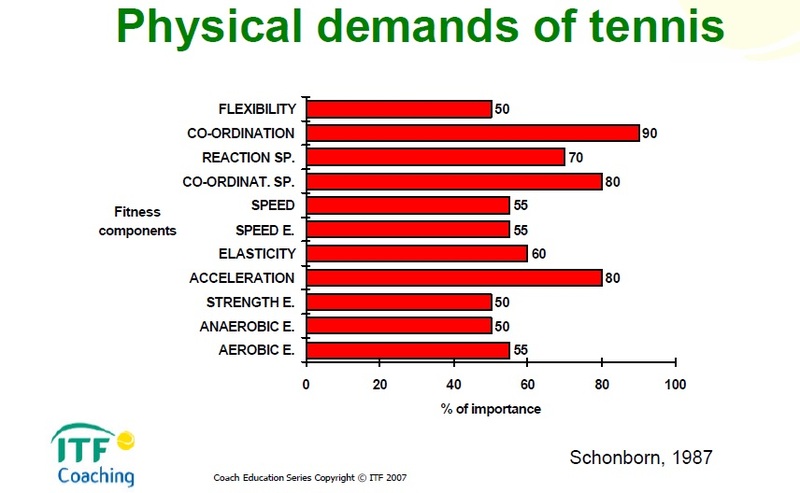 According to Schonborn the most important factors are coordination and speed of coordination as well as acceleration. So what exercises would be best to use to improve an athlete’s acceleration? If acceleration is one of the key determinants of successful tennis performance (and I will include change of direction ability in this!!!) what are the best exercises to improve this ability? Thanks to Soviet researcher Natalia Verkhoshansky we can start to answer that question too! Bear with me while I summarise an experiment she conducted. This is an extract taking from the actual report of the experiment (Verkhoshansky, 2011). – ‘Fan,’ 12 × 4 meters with 11 both lateral and frontal changes of directions. In the strength tests, the level of basic strength capabilities were evaluated using the UDS: Maximal (P0), Explosive (J) and Starting strength (Q) expressed in the maximal isometric strength efforts and maximal explosive isometric strength efforts of the Leg Press and Seated Calf Raise. Table 1 shows the correlations between the results of the running and strength tests. Finding 1: The correlations indicate that the higher the level of explosive strength (J) of the tennis players, the faster they were. So, for increasing tennis specific speed ability, the athletes should use specific training means, to increase Explosive Strength during take-off movements: i.e.. jumping exercises. Finding 2: The results showed also that the athletes who expressed the higher value of Maximal Strength (P0) in Seated Calf Rise (but not in Leg Press) showed high level of speed ability. This means that to increase the speed is advisable to use a training method able to increase the weight of 1RM in Seated Calf Rise exercise. As we can see, the results of specific running tests are not correlated directly with the Maximal Strength expressed in Leg Press. 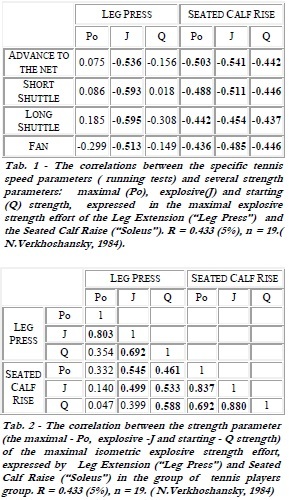 However, the correlations between the parameters of strength capabilities (Table 2) show that the higher the level of Maximal Strength (Po), the higher the level of Explosive Strength (J). It means that, to increase the level of Explosive Strength in Leg Press and, as a consequence, to run FASTER it is necessary to increase maximal strength expressed in the Leg Press. This means that to increase speed it is advisable to use a training method able to increase the weight of RM in the Leg Press exercise (barbell squat). Now perhaps you’re going to say, ”Duh, of course that’s obvious; getting stronger in the calves and developing explosiveness in jumping tasks is what is going to help Tennis players move better!!!! It’s obvious because it’s intuitive. But until it’s actually written down on paper how many of you would have come up with that answer? For me the best coaches are intuitive and probably wouldn’t have needed a science experiment to validate what they already know works but what made the Soviet and East German system unique AND SUCCESSFUL was because they conducted meaningful scientific research. They tried to find what types of exercises (in the gym) most highly correlated with performance where it counts….on the sports field or court. Take away message: What exercises do you use and how do you know they really work? http://athleticperformanceacademy.co.uk/wp-content/uploads/2015/05/APA-Logo1-300x156.jpg 0 0 darren.drake http://athleticperformanceacademy.co.uk/wp-content/uploads/2015/05/APA-Logo1-300x156.jpg darren.drake2014-06-17 07:08:302014-06-17 07:08:30Soviet Speed Secrets- how to make your athlete seriously fast without taking drugs! Many people have heard of the term to ‘cut weight’, this commonly refers to athletes in weight restricted sports such as martial arts, boxing and the newly popular MMA style of fighting. It could also apply to motor racing drivers, jockeys or athletes in other sports that wish to lose weight in a short period of time. 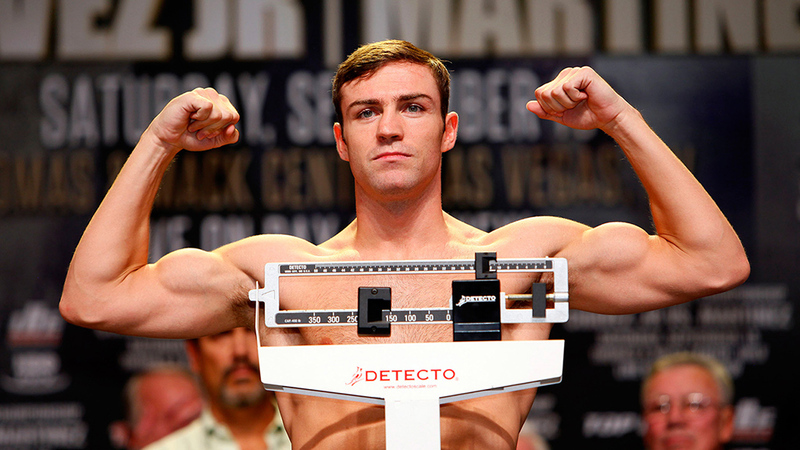 Most non-athlete people would ask why you would want such a rapid reduction in weight, the answer is simply that most fighters have to get under the weight limit in time for the weigh in but can fight much heavier after re-fuelling, thus giving them more energy, strength and endurance. There are several ‘traditional’ methods for rapid weight loss, from sitting in a sauna, restricting food and water intake to sweating out as much fluid as you can in a sweat suit or heavy clothing. All these will rapidly decrease your weight, however is it safe to do this and what are the potential negatives towards sporting or fighting performance? Here are a few tips on how best to ‘cut weight’. The simplest and most effective way to begin the weight cutting process is to decrease or stop fluid intake. Your body is constantly losing fluid by breathing, sweating and urination. Every minute and hour that this goes by without replacing the fluid, you will lose weight. This process takes no extra energy from a fighter to complete, and you can lose up to 2-3kg in 24 hours without drinking. Sweating out fluid from the body can be done in a number of ways, and can take off 3-5kg of weight in a short period of time depending on the conditions. This method can still be used even if the athlete is already lean, as there will still be fluid that can be lost. The limitations to this method are that it requires great amounts of energy expenditure, and can sap strength from the fight the next day. The goal for using this method would be to take off the weight you need to lose with the least amount of fatigue for the athlete. Another method to lose weight is to empty the bowels the day before the weigh in. This is another method that requires no effort and will not hurt performance if done correctly. Your bowels, or stomach and intestines, are up to 28 feet long and contain up to 2-4kgs of material at all times. The food that has been ingested over the last 24 hours is all still contained along this set of tubes. This material does not help performance and is actually waste. 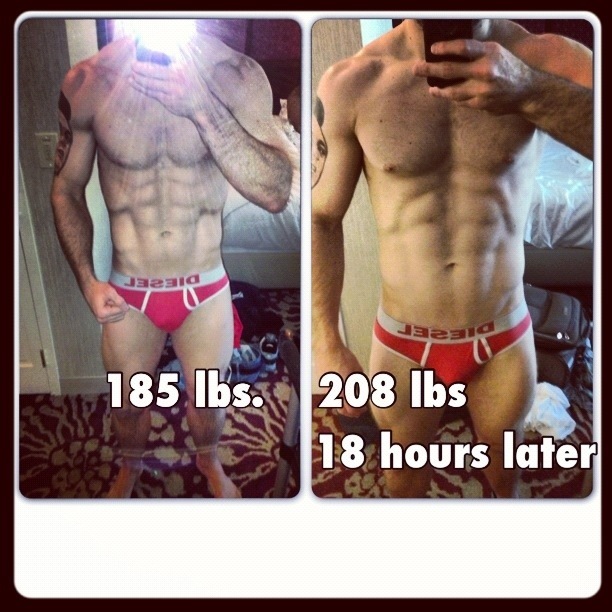 By clearing out the bowels, an athlete can lose another 2-3kg without having to do anything. There is a danger to using diuretics; however they are common place across fighting sports with such demands placed upon athletes to make weights. This method is more dangerous than the others, and can lead to electrolyte imbalances and decreased performance. Ultimately the safest and most effective method of meeting a weight category is to stay at a weight close to that needed for fighting. This should be done through correct nutrition, focusing on ‘clean’ foods such as lean sources of protein, vegetables and fruits for carbohydrates and a small amount of good fats to maintain the immune system and cognitive function. Decreasing weight should be done over an extended period of weeks and not left to the final week before a fight as drastic weight loss is unhealthy and potentially dangerous. If cutting weight is not conducted properly a decrease in performance is highly likely, this of course is not ideal in a sporting situation where the athlete is required to fight. Therefore it is also extremely important what is done after the weigh in to restore optimal function. When you are cutting weight, your plasma blood volume decreases, and your blood pressure can increase as a result. In addition to this, your resting heart rate may increase; you can experience fatigue and feel psychologically weak. You need to make sure you reverse these processes not only as quickly as possible, but correctly and completely. Common practice is to eat and drink as much as possible immediately, however this is not ideal. Eating small meals at regular 30 minute intervals is preferred so as to stager the digestion of nutrients. Restoring blood glucose levels is primarily important, so eating good sources of carbohydrates is essential. Overeating however will cause your gastrointestinal system to be overloaded and leave food undigested and unused within your stomach and intestines. Smaller meals will clear the stomach and you will be able to eat again shortly. Eating meals that you are comfortable and familiar with is also important, don’t start to do anything different to your normal diet. More importantly is getting the fluid balance back. You should immediately take in fluids following the weigh in and continue to drink at regular intervals. Full hydration can be simply monitored by the colour of urine, with the aim of getting clear urine by fight time. This can take 3-5 gallons of fluid over the next day to replace the 5 of more kilograms that has been lost. Don’t rely on the thirst response because it will not be accurate. You need to keep drinking to make sure that the blood plasma, fluid space between the cells and the cells themselves are refilled. In conclusion, cutting can be safely achieved through correct nutrition and hydration strategies over a prolonged period of time rather than leaving it to the final week before weigh in. It is also important to realise that it will take time to find the best strategy for you individually, so practice of cutting weight should also be factored into your training regime.